Florida is poised to become the second big state after New York to shield patients from surprise out-of-network medical bills, and California may not be far behind if lawmakers there can cinch a similar deal with physicians. The issue has caught fire around the country, with even health professionals facing the personal experience of unexpected bills for hundreds or thousands of dollars. Consumers Union reported last year that among people who had emergency department visits, hospitalizations or operations in the previous two years, 37% received a bill for which their health plan paid less than expected; among those who received a surprise bill, nearly 1 out of 4 got a bill from a doctor they did not expect to get a bill from. Nearly everyone agrees that patients who unwittingly receive services from out-of-network providers at in-network facilities should be protected from these bills. The political holdup is determining how much to pay the out-of-network providers. Florida sidestepped the payment issue by leaving that up to a yet-to-be-developed dispute resolution process, while California is still trying to resolve that conflict. Florida's Republican-dominated Legislature passed a bipartisan bill (PDF) last month that would protect patients from paying balance bills from out-of-network providers in both emergency and non-emergency situations. This would apply when the patients go to a healthcare facility in their health plan network and inadvertently receive services from a non-network provider. Patients would only be responsible for paying their usual in-network cost-sharing. Plans and non-participating providers would have to work out payment for those services through a state-arranged, voluntary dispute resolution process, with a penalty assessed to the party that refused to accept an offer that was close to the final arbitration order. The negotiation would be based on the usual and customary rate for the particular geographic area. Disputes could be taken to court. The bill would only apply to PPO-type plans, since Florida already bars balance billing patients in HMOs. New York implemented a similar, though mandatory, dispute resolution system last spring, requiring insurers and providers to resolve out-of-network payment disputes while holding patients harmless. Republican Gov. 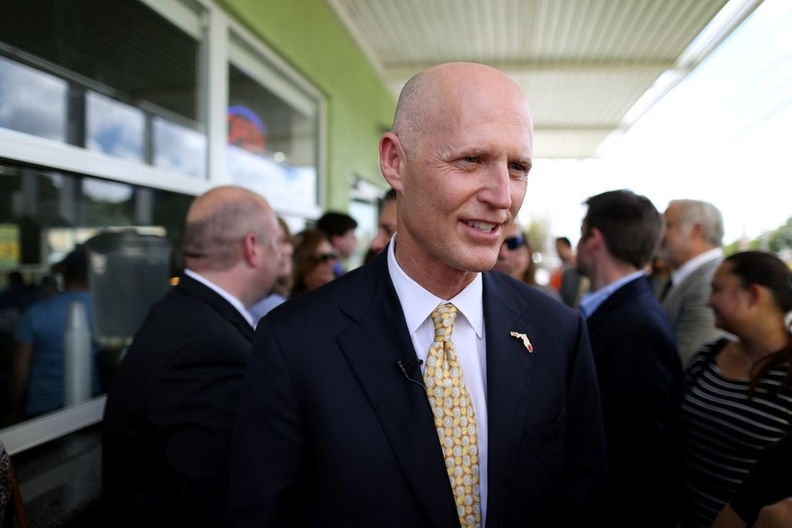 Rick Scott has until April 14 to decide whether to sign the bill, which has strong support from the state's chief financial officer, a key member of Scott's cabinet. The Florida Medical Association and other major stakeholder groups are backing the bill, though anesthesiology and radiology groups oppose it. The Florida Hospital Association said it agrees “with the general direction of the legislation.” Scott's office did not return a call for comment. Jeff Scott, general counsel of the Florida Medical Association, said the bill was an acceptable compromise for most physicians even though the real problem is that insurers don't fully inform consumers what they're buying. “Physicians shouldn't have been involved, but that's how it ended up and it's a reasonable approach,” he said. Meanwhile, in California, a broad coalition of payers, unions, consumer advocates, and some providers are backing a similar bipartisan bill that nearly passed the Legislature late last year and now is being considered in amended form. The bill would establish a binding independent dispute resolution process for insurers and providers in cases where patients received care from out-of-network providers at in-network facilities. Patients would only have to pay their normal in-network cost sharing, and those payments, unlike now, would apply to their plan's out-of-pocket yearly limits. The proposed system would apply only to non-emergency care, since emergency physicians already are barred from balance billing patients under a prior state Supreme Court ruling. But the California Medical Association strongly opposes the bill, arguing that it would hinder consumers' ability to use their plans' out-of-network benefits and give plans too much negotiating leverage over physicians. The CMA did not provide comment for this article. The California Hospital Association is neutral on the bill. A CHA spokeswoman said that while patients often blame hospitals for out-of-network bills, there's little hospitals can do because state law bars them from employing doctors or requiring them to join particular health plans, plus hospitals have no way of knowing when hospital-based physician groups will use a non-participating physician on an on-call basis. Anthony Wright, executive director of Health Access California, which sponsored the bill, said the political obstacle so far is that the CMA wants generous guaranteed payment rates for out-of-network physicians. But payers say those would be higher than market-based negotiated rates and would drive up costs.